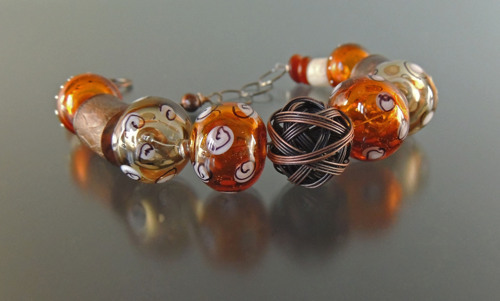 Handmade Lampwork Glass hollow beads with metallic shards and silver mesh. 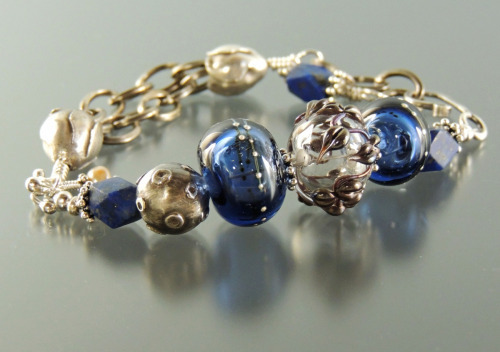 Lampwork Glass Hollow Beads in Sapphire and Clear with metallic leaves, Fine Silver round bead, Lapis cubes, Karen Hilltribe Fair Trade Tulip beads in Sterling and Bronze chain. 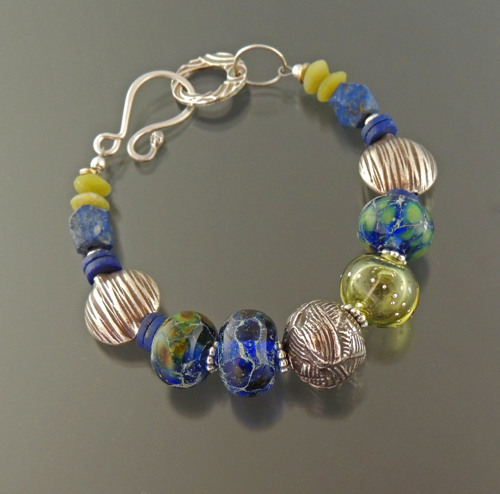 Lots of Lampwork Glass beads in Hollow forms and Lentils Sterling beads, and Handmade Fine Silver round bead. 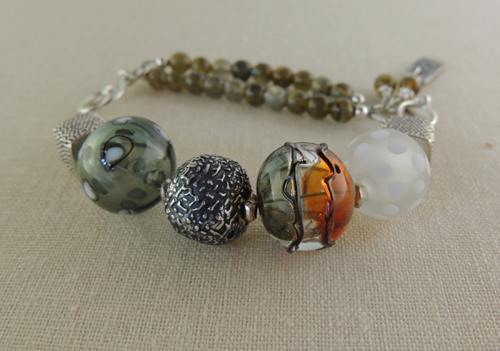 Lampwork Glass Beads, Fine Silver Round bead, Rhyolite Squares, Karen Hilltribe Fair Trade Tulip Beads in Sterling, Bronze chain. 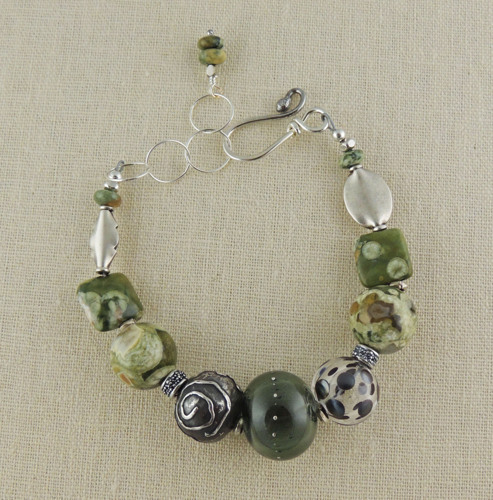 This piece can be worn as a Pendant or as three separate Bracelets. 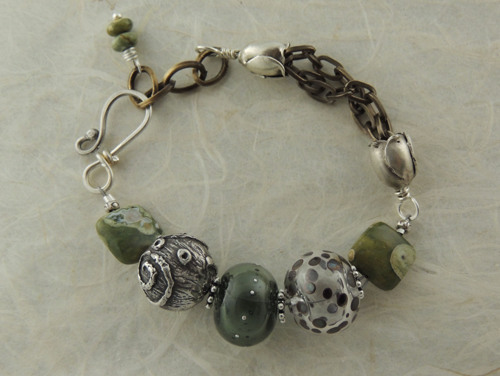 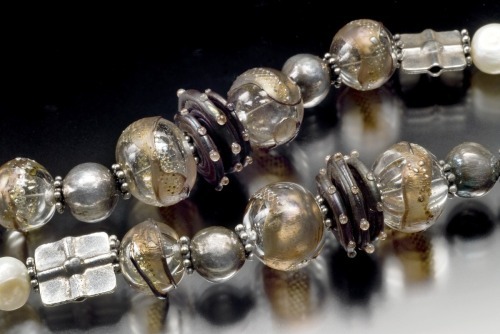 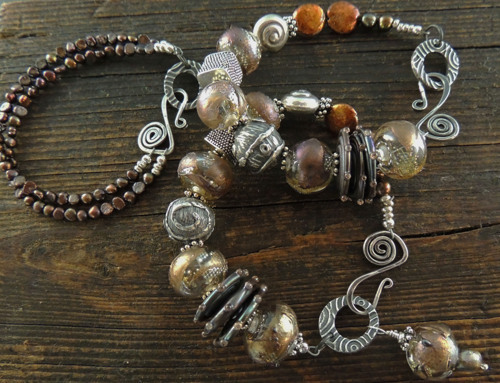 Two of the Bracelets have Lampwork Glass Hollow beads, Fine Silver beads, and Sterling Bali beads.The third Bracelet has 2 strands of Freshwater Peacock pearls. 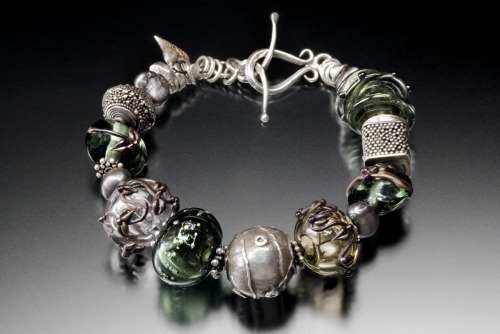 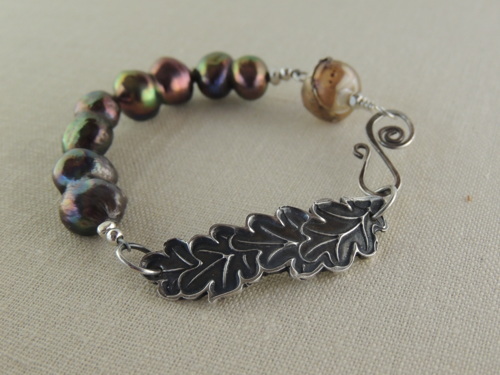 All the bracelets have hand made Fine Silver Clasps.